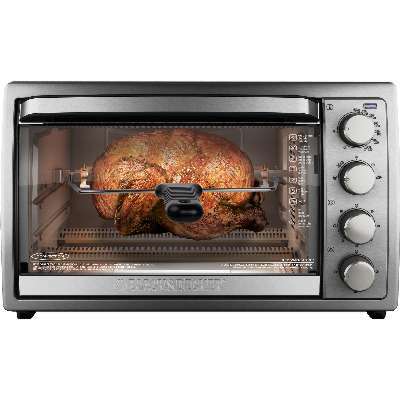 From pizza to chicken, cook all of your favorites in this BLACK+DECKER rotisserie convection countertop oven. 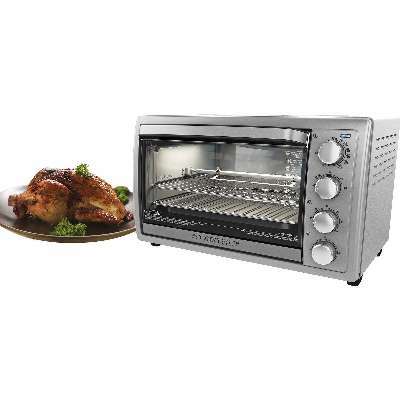 With a removable rotisserie rack, two toasting trays and a bake pan included the options are endless. 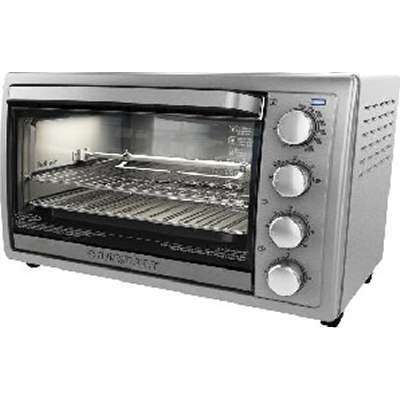 Choose from bake, broil, toast and keep warm functions to maintain the best setting for any foods. A removable crumb tray and dishwasher safe parts make for easy clean up.